A beacon is any device that transmits a signal which allows another device to determine its proximity to the broadcaster. In a store, a beacon lets a customer’s app determine that it’s close to the candy aisle. 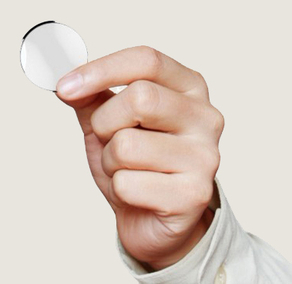 The beacon doesn’t transmit content, it simply transmits a signal that lets a user’s phone or tablet figure out what its proximity to the beacon. The content (a coupon, for example) is delivered separately to the user’s app. delivered separately to the user’s app. HOW DOES A BEACON WORK? & WHAT TECHNOLOGIES DOES IT RELATE OR HAVE? This is the specification for one type of signal that beacons transmit. There are other types of signals that power beacons (e.g. audio signals) but Bluetooth LE has the advantage that it is low energy and is ‘native’ to most modern phones and tablets. Of course,most of beacons are capable of Bluetooth LE broadcasting. But a device can include other functionality. An iPhone, for example, can be programmed to act as a beacon. But it obviously does a whole lot more. Similarly, a beacon in a store can transmit Bluetooth LE signals, but they can also detect humidity, temperature, acceleration, or include modules for WiFi. 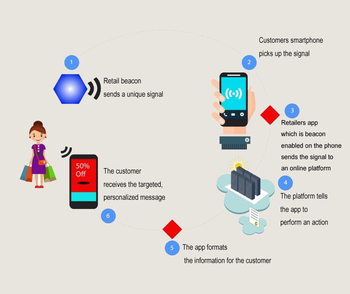 Click the image(Left) to enlarge and learn how a beacon works in a store. The term iBeacon and beacon are often used interchangeably. 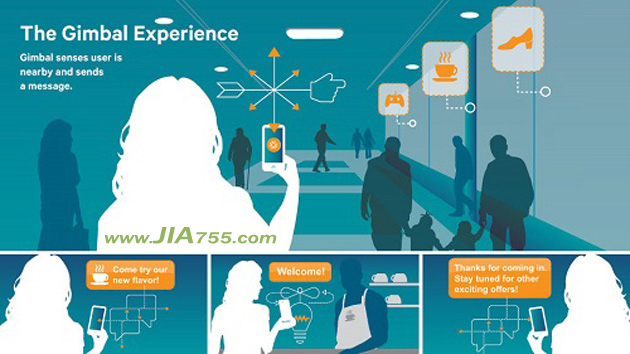 iBeacon is a trademarked term by Apple that refers to a specific configuration of the bluetooth proximity profile. Think Jacuzzi vs hot-tub. One is a brand name, one is a generic. Otherwise, detection of an ‘iBeacon’ signal is no different that detection of regular bluetooth proximity profile signals. 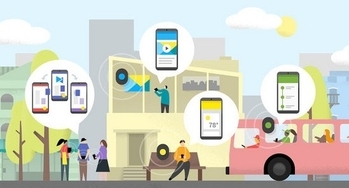 EddyStone is the Google answer to “iBeacon”. 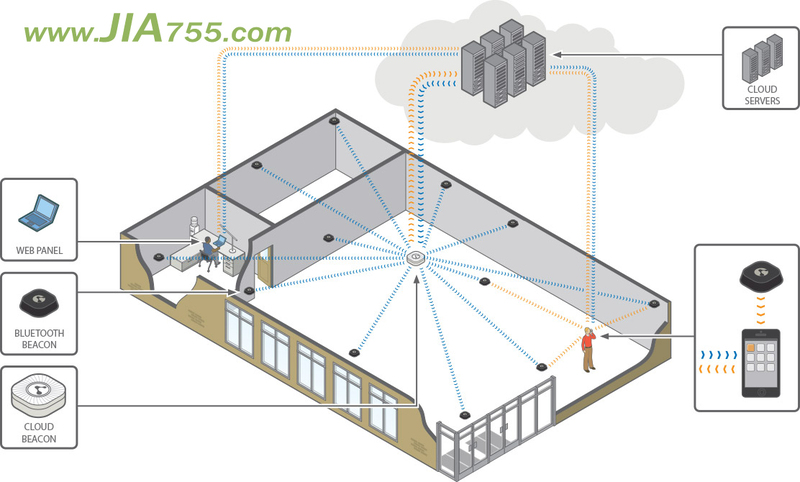 Where iBeacon is a specific configuration of the Bluetooth “proximity profile”. 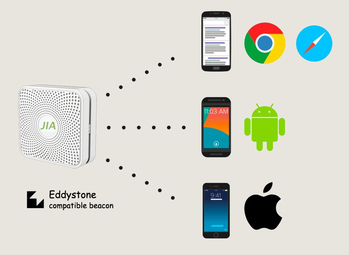 EddyStone refers to four distinct, Google originated standards. 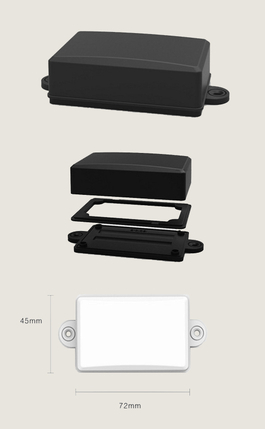 *bracket for mounting on non-metal wall by two-screw holds. *boost team members efficiency and global business performances.